Components and Materials - Parts, Kits, Tools. Tech Products Preview - delabs Reviews Products related to Industrial and Lab Electronics. Jameco - Passive Components, Wire and Cable, Fans, Batteries and Robotics. Digi-Key Corporation - ICs, Semiconductors, Capacitors, Transformers, Relays. Mouser Electronics - ElectroMechanical, Electronics, Components, Connectors, Chips. Futurlec Semiconductor Superstore - Electronic Components and Semiconductor Store. RadioShack- Audio Video Electronics - Consumer electronics specialty retailer of wireless communications, electronic parts, batteries and accessories. Components at Maplin - The Electronics Specialist - Chips, LEDs, Switches, Project Boxes, Transformers, Motors, Breadboards, Displays. Farnell - .element14.com - Connectors, Capacitors, Semiconductors, Resistors. Embedded Kits. RS Components - Equipment Tools Parts - Industrial Products Catalog and Data Library on-line. Cables & Connectors, Mechanical, Power Supplies, Measurement, and Tools. Arrow Electronics - Semiconductors, passives, electromechanical, connector and computer products. Industrial and commercial users of electronic components. Avnet Inc - Distributor of computer products, embedded systems, semiconductors, interconnects, passives, electromechanical, RF and microwave components. Allied Electronics - Components Distribution. Power Supply, Switches, Electronic Enclosure, Cables. Future Electronics - Components Distribution - Complete Solutions areas include Lighting, Energy, Display and Connectivity Solutions. Tucker Electronics - New Used Test Equipment, Refurbished Oscilloscopes,Analyzers. Carlton-Bates - Distributor of automation controls, Electrical, Electronic & Electromechanical. ApogeeKits - Beginner to advanced electronic hobby kits, circuits, tools, test equipment. Electronix Express - Distributor of electronic components, test equipment and tools. Velleman - Kits Tools and Equipment - Oscilloscopes, Transformers, coils & motors, Semiconductors & sensors. Led products & lamps. Batteries & chargers. Mains Adapters and Supplies. Fair Radio Sales Company - Public military and industrial surplus electronics. All Electronics - Thousands of electronic & electromech parts and at discount prices. Electronic Surplus Inc. -obsolete IC's, discretes, motors, relays, Electro-mechanical parts. 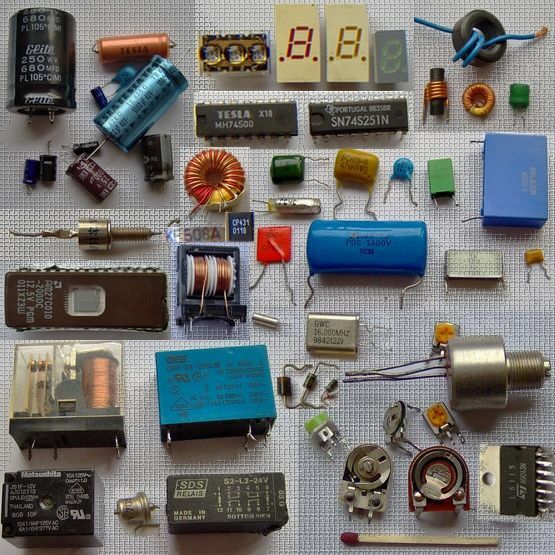 The Electronic Goldmine - Surplus pieces, parts and kits. Rare and Esoteric Items. Surprise Box. CirKits - SolOrb - Selling Electronic Kits for Solar Power since year 2000. Solar Charger and Controller. Electrospec - Hard to find Electronic Parts for Commercial and Military. Online Parts database. GlobalSpec - Search engine, information resource. engineering, industrial, technical. MacRaes Bluebook - Searchable on-line directory of US Canadian industrial suppliers. Applegate for Electronics - UK and Ireland. Listing of companies in the electronics and engineering. ThomasNet Industrial Search - Find and Source; manufacturers, distributors, service providers. Dontronics - The World's Largest Range of Atmel/AVR & PICmicro Hardware and Software. Adafruit Industries - Arduino, Tweet-a-Watt , Chumby Board, MintyBoost, AVR, ARM. Embedded Kits. SparkFun Electronics – DIY Kits and Parts. Online retail store. Parts for your electronics project. Evil Mad Scientist Laboratories - DIY and open source hardware and strange inventions.